It’s a hot afternoon in late June when Laura and I meet up at Outlet for our interview. “I am a dork, I apologize that I am your first interview and I am going to be really dorky.” Laura says, however her presence is confident and warm. I quickly assure her that, if it came to a contest, no one could possibly be as dorky as me. 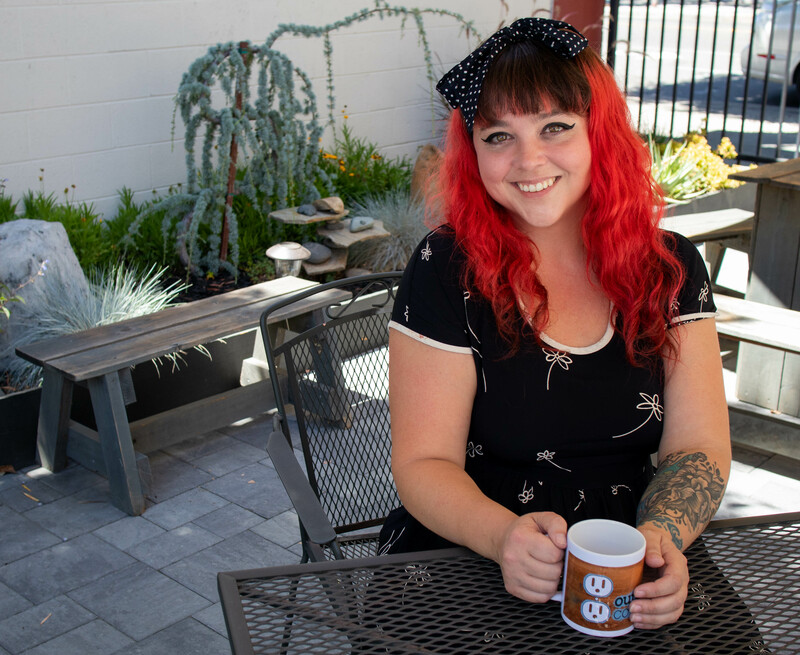 With a laugh and a smile, Laura settles down from her brief spout of nervousness and begins to tell me about the non-profit organization Artists of Sacramento (AoS), of which she is the Founder and Executive Director. Founded by Laura in 2015, the organization came about as she reached a slow period in her work as a photographer and video media artist. “It first started because I was creatively drained, completely burnt out.” Laura tells me. 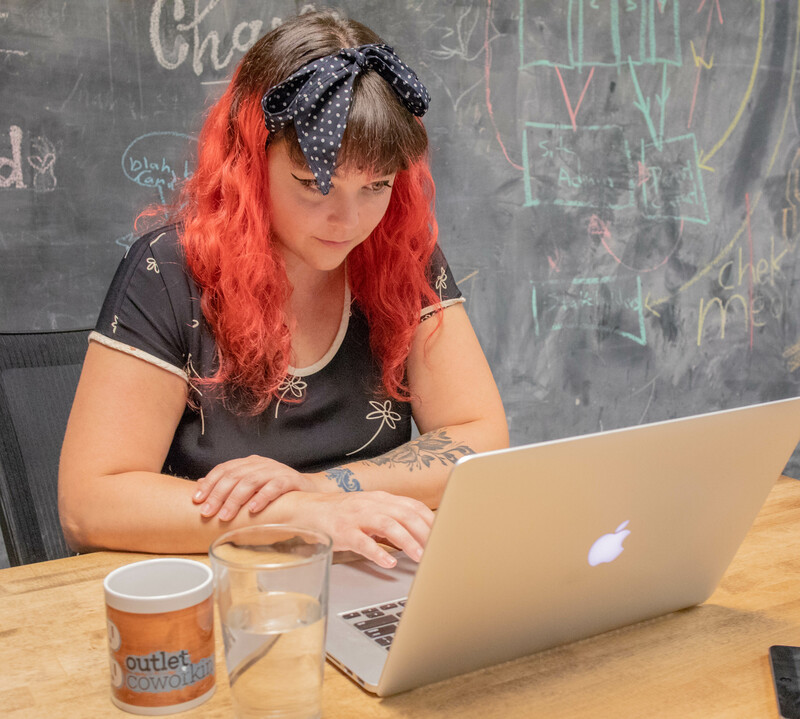 She had been working in her field for over a decade and had reached a point where doing both the creative work and running the business side of things had become too overwhelming. However, she believes that experience is what makes her able to identify the types of support that artists need, telling me that “one of the reasons I feel like I am qualified to do Artists of Sacramento is because of my average artist’s struggle… I made a living for years but I will tell you it didn’t come naturally for me.” After speaking with her fellow arts professionals, all of whom seem to face identical struggles, she decided that she could put her personal experience to work for others who are struggling in artistic fields, thus Artists of Sacramento was born. When asked how AoS helps local artists, Laura explains that, “We try to provide whatever opportunity we can for whoever approaches us… Anywhere from financial sponsorship to volunteer time, or we are using our social media platform to create an elevation of awareness.” She goes on to say that, “Another thing we try to do is keep a pulse on what's going on and try to feature up-and-coming artists who wouldn't necessarily have that platform.” As we continue to discuss AoS’s contributions to the Sacramento art scene, she tells me that, “We’ve partnered two years in a row with First Festival. For the past two years [of the event] we have curated art installations and we were able to [have Fisrt Festival] pay the artists and give them an opportunity that they have never had before.” She has also worked on art installations in collaboration with Menagerie, the very organization which curates the artwork and hosts the art shows here at Outlet. In fact, one of the most popular exhibits from the 2016 Stranger Things Art Show was AoS’s contribution "The Letter Wall." Created in collaboration with artists Aaron and Adam Stewart, the installation used a series of lights connected to a small computer that allowed attendees to send text messages and see them spelled out on the wall. But AoS is just beginning to pick up steam. Laura has an new venture in mind that she thinks will be the perfect combination of support, entertainment and education for local artists.